The Master of Communication from Deakin University equips students with the advanced knowledge and skills needed for higher-level careers in the communications and media industries. Throughout the course, you’ll develop and hone your analytical, research and communication skills through a flexible and comprehensive course structure. You can choose to specialise or undertake cross-disciplinary units in the following areas: journalism, TV production, visual communication design, public relations or digital media. Under the guidance of an academic supervisor, you’ll also complete a professional research project designed for a business or creative audience. This course is offered online or on-campus in Melbourne. It consists of 8 credit points in your specialisation option OR cross-disciplinary study; 2 credit points of research methods and 2 credit points of communication concepts; plus 4 credit points of an independent scholarly research project OR 2 credit points of electives or an independent professional practice project. 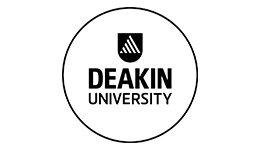 Upon successful completion of this course you will receive a Master of Communication from Deakin University. Graduates are prepared to pursue roles in content production companies, multimedia businesses, government agencies, marketing and entertainment industries, public relations, and social and market research entities. Graduates who have completed 4 credits in the independent scholarly research project are also eligible to apply for a PhD.